Winchell and Falcone have entered an agreement to buy majority interest in Kentucky Downs, contingent on KHRC approval. The pending sale was announced earlier this week and is expected to close in early 2019. Both men have extensive background in casino gaming, with Winchell a prominent racehorse owner. Both men stressed that Kentucky Downs will go ahead with the major expansion of its property in Franklin, Ky., that was previously announced — and that, if anything, the expansion will be even bigger. “I think this decision is going to require us to re-evaluate what we're going to do going forward,” Falcone said. 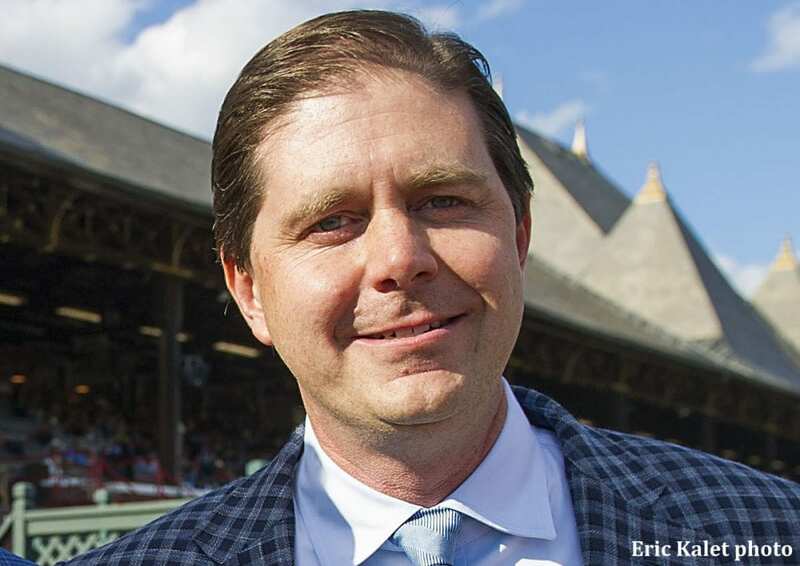 Winchell cautioned that awarding the license to another applicant, bringing competition into Kentucky Downs' natural market, likely could lead to a pricing competition on the takeout for HHR that would cut into the purse money raised for the state. Johnsen said most of the current owners, including himself, are staying in for a piece of the track. This entry was posted in The Biz and tagged churchill downs, corey johnsen, Keeneland, kentucky downs, kentucky horse racing commission, marc falcone, Oak Grove Racing Venue, Ron Winchell by Press Release. Bookmark the permalink.